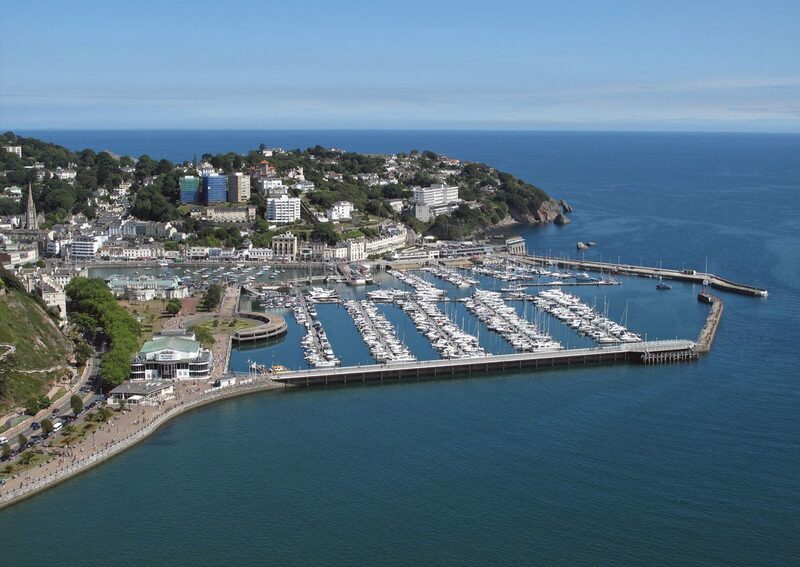 Torquay, with a population of around 65,000, is the largest of the three towns that make up Torbay, and the third largest conurbation in Devon after Plymouth and Exeter. It gets its name from the fishing quay that the monks constructed after building Torre Abbey in 1196. The Abbey may have changed appearance over the years but is still here and one of the things not to miss. Nothing much else changed though until the railway arrived in 1848. With it came an increase in people who came here either to holiday or to live, and it wasn’t long before Torquay earned the reputation as the Queen of the English Riviera. The tiara may have slipped a bit since then, but there’s still plenty of reasons to come here. Not everybody will enjoy everything that Torquay has to offer, but there’s something for most people. The focal point is the harbour which is a place to have a pleasant stroll around during the day, but a place to keep your Aunt Maude away from during the evening, especially on summer weekends. Places like Babbacombe and Cockington are quite different though and often seem miles away from the hustle and bustle of the town centre. The coast path through the town shouldn’t be neglected either as it shows why Torbay is the only urban geopark in the world, and if you want to know more, why not pay a visit to the excellent Kent’s Cavern. It’s also somewhere that the kids will enjoy. Many people will know that Torquay was the birthplace and childhood home of Agatha Christie and that the Gleneagles Hotel was the inspiration for Fawlty Towers, but there are others who also have connections with the town and this short introduction is just the beginning of my pages about Torquay so please keep coming back to see what’s new.